Now a new stylish way to keep dry! This new Cab Cover is constructed of black, water resistant nylon, and features the Jeep® logo across the front. Cover fits snug using elastic cords and adjustable straps. Can be used with the top up or down! Includes nylon storage bag. Please Note: The cab cover will fit looser with the top removed. 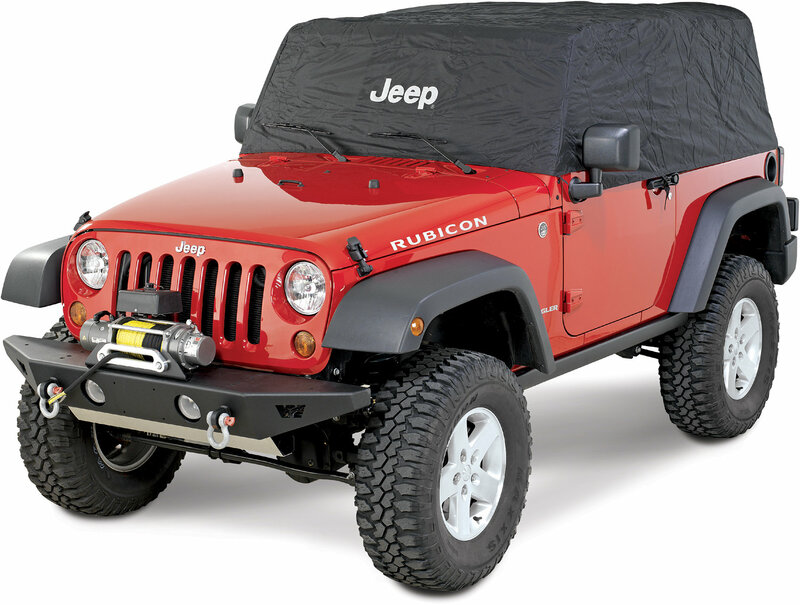 Weather-resistant high quality nylon cap in Black or Silver fits snugly over your Wrangler's hard or soft top. Silver color is a sun reflective material that reduces interior temperatures and sun fading. Great for sunny climates. Also will fit with top off to help keep interior clean and dry. 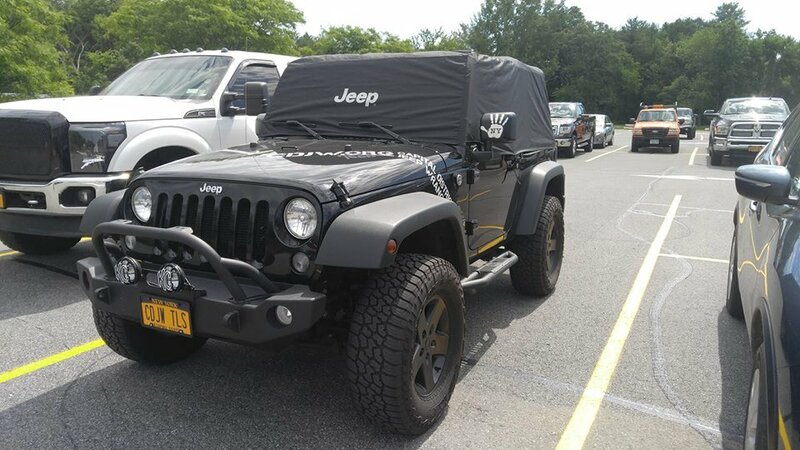 Elastic loops attach around taillights and mirrors, and includes two integrated cords that attach to the Jeep to secure the cover under the door area. Folds into a small snap closure storage bag that is included. 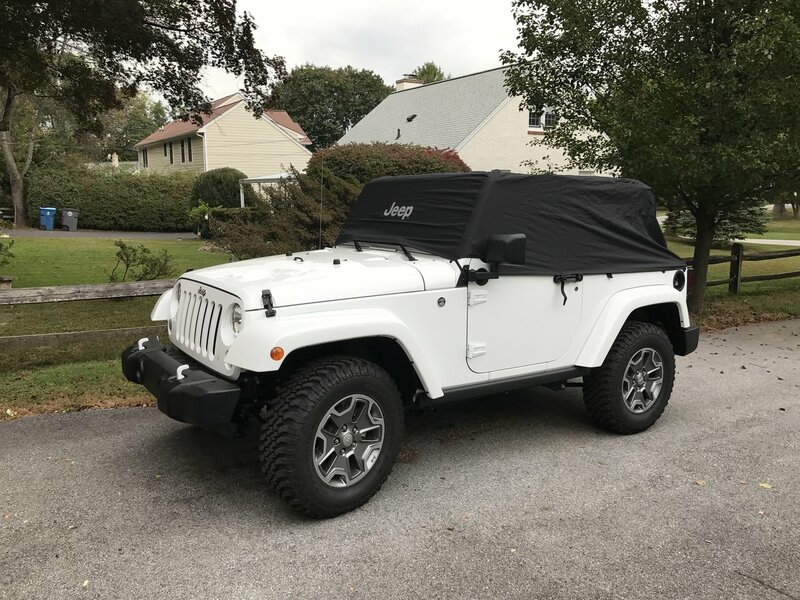 Great cab cover for my 2019 Jeep Wrangler. Wasn't sure it would fit but it does and love it. We also have one for our 2012 Wrangler. Can't beat it. Light weight. I can put it on myself. I don't understand the review that gave this cover a negative. 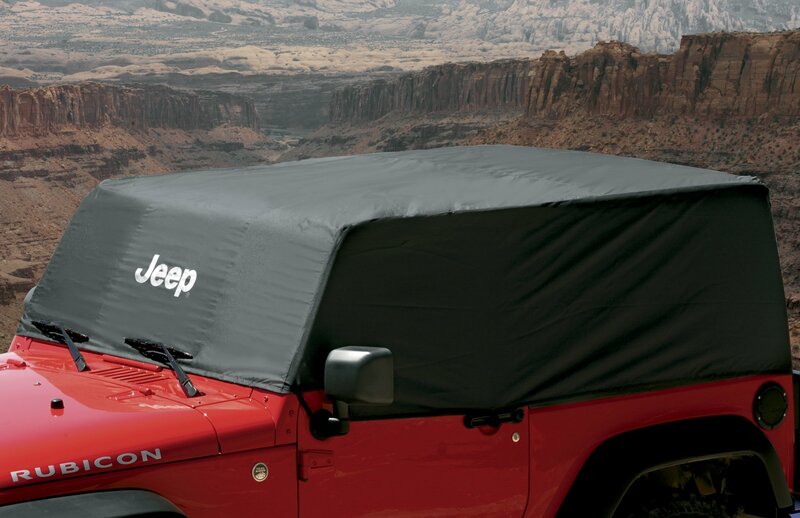 This cover is exactly what I looked for to protect my Jeep Wrangler JK soft top. In heavy rain I get some water into my tailgate area, with this top if offers extra protection in the rain with the top up or down. Takes minutes to install and in my opinion comes equipped with the elastic straps and other straps to secure the cover to my jeep. Fitment is terrible. It does not have any elastic straps that fit around the taillights and does not cover the back of the cargo area to keep rain out. I do not recommend this top for use without a hard or soft top on the Jeep. Not worth the money at all.